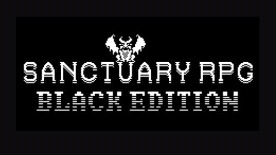 Set in a retro ASCII-art world, SanctuaryRPG is a humorous and strategic turn-based dungeon crawling adventure. Drawing heavy inspiration from both Roguelikes and Japanese RPGs, the game was meticulously designed to offer a truly compelling gameplay experience fused with a robust action-rpg inspired combat system. Black Edition builds upon the classic formula with all new procedurally generated artwork, as well as a plethora of areas to explore, races to experiment with, skills to master, and loot to collect. As a valiant hero or a dastardly villian, the fate of Sanctuary is in your hands.